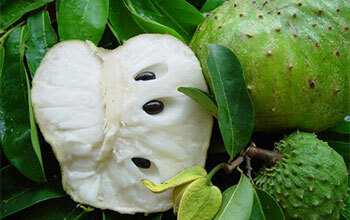 Many people have asked me how is the taste of Soursop, for those who have not ever been able to taste it. Some of you have no idea what to expect, and after some diligent googling you will find lots of information about it and its uses (juice, smoothies, ice cream and the fruit’s benefits). First step, when it is fully ripe we need to start scraping out the pulp and removing its seeds (black ones), I would like to say that it is an exceptionally easy fruit to prepare so what you need to do is to give it a try. Its fragrance is tropical fruity, musky, and nice and its taste is definitely sour but sweet enough. On the other hand, there are some others very sweet. It tastes kind of like a combination of pineapple and banana or papaya. Also If you’re into mixed drinks, try blending some frozen soursop with bacardi and blue curacao for a great daiquiri. The non-alcoholics out there might prefer simply mixing it with soda water. The juice can also be used as a topping on its own, mixed into cheesecakes and jellies or simply eaten frozen after blending as a sorbet. This fruit contains a variety of vitamins and minerals, and is low in calories. This fruit is packed with B vitamins, vitamin C, Calcium, Iron, and healthy fats and carbohydrates, as well as protein. In addition, soursop fruit is also cholesterol free and low in calories, making it an ideal snack or flavorful addition to a dessert. But, be sure not to overdo it—approximately a cup a day is a sufficient amount to obtain the health benefits of this amazing fruit. Soursop fruit seeds are used to treat vomiting. 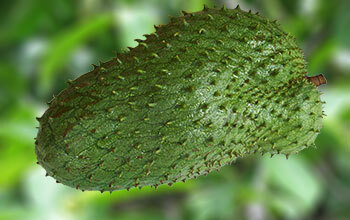 Soursop leaves are made into a poultice and used for treating skin disorders. 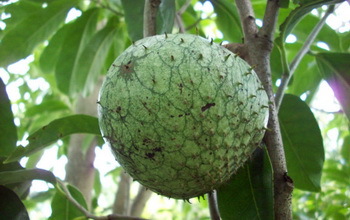 Soursop fruit pulp is applied directly on wounds to help speed up healing. Soursop root bark is used to treat poisoning. 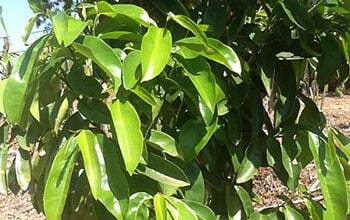 A leaf tea or decoction applied topically is used to get rid of head lice and bed bugs. Where can the fruit be bought to try it? Where does soursop trees grow, on hot sun. What temperatures for cold and hot? Yes, in warm tropical climates you will find soursop growing.